It’s very uncomfortable to try and sleep in an RV that’s not level. Your body will migrate to the low side — no matter how much you try to stay put. And if you suffer from acid reflux, then having your head even slightly lower than your body will keep you awake all night. You have a number of choices when it comes to determining if your mobile residence is level or not. But, of all the methods I’ve tried, only one is super convenient, accurate, and simple to setup & use. Whether you’re spending just one night or staying for the whole season, LevelMatePRO has some handy features that place it measurably above the other RV levelers on the market. For those of us without an expensive on-board computerized hydraulic leveling system, the LevelMatePRO makes the chore of leveling an RV easy peasy. I installed it in both my motorhome and my little RV trailer. the worst features of other RV leveling systems that the LevelMatePRO singlehandedly alleviates! For starters, it’s a Bluetooth leveling system for your RV that works with your smartphone or tablet. It’s really small in size — The transmitter unit is about the size of a pack of cigarettes and can be mounted almost anywhere. There is no wiring to install — The included battery will operate the whole system for about 2 years. There’s an automatic sleep mode — This saves battery life when the unit remains motionless for more than a week. The viewing screen is your smartphone — Since your phone is usually on your person, you always have instant access to your RV’s current status. There are no switches to turn on — The unit comes to life when you access the app on your phone. You can be outside adjusting your leveling jacks and instantly glance at your cell phone to confirm that you have reached level. Accuracy is unmatched — Each individual unit is calibrated in extreme temperatures to ensure utmost accuracy. The LevelMatePRO determines how level you are right down to a quarter of an inch! No more piling planks under the tires, a piece of thin plywood might be all it takes for perfect level. 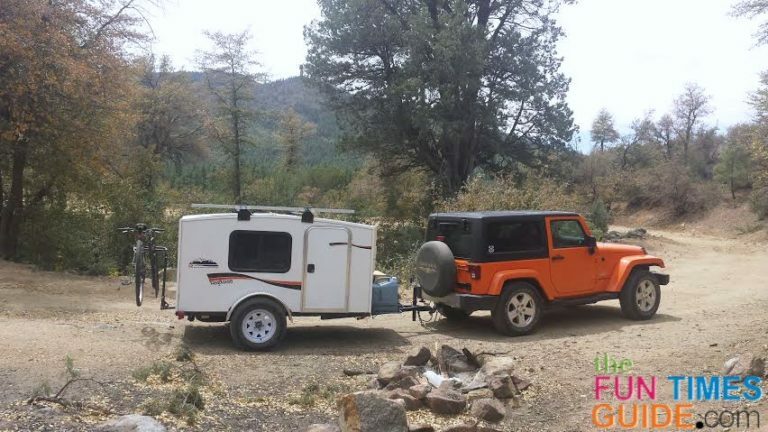 Switching from one RV to another is simple — All you have to do is change the measurements on the setup screen. I have mine fastened with Velcro for just this reason. Hitch height is saved — This is the only leveling system I’ve found that will also store the correct hitch height to recouple your trailer to your tow vehicle. Set your RV level (however you currently do it). 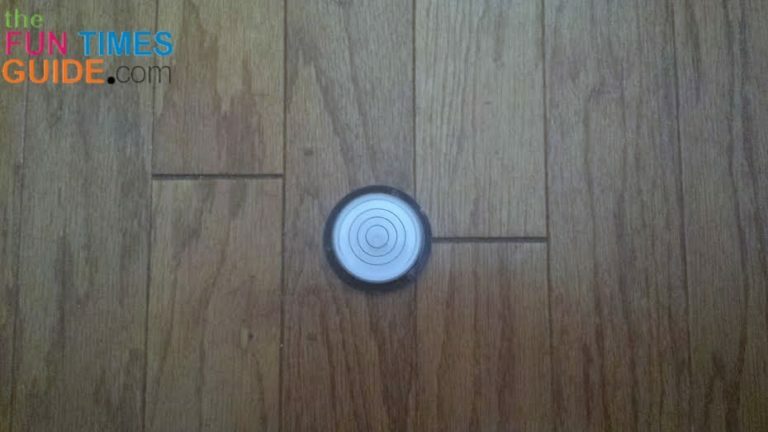 I used a simple bullseye bubble level placed in the center of the floor. TIP: Be aware if you have your phone settings set so that updates or apps can’t be loaded to conserve data usage, then you will have to temporally open up access to your phone — so the app can be downloaded, and the system can pair up to your Bluetooth connections. Camco Bullseye Level – The good old bubble level will always be accurate, but it doesn’t tell you how much blocking to add to get things on the money. Also, you need to make repeated trips inside the RV to see what your progress is. Camco EZ Level – As you can see in this video, this RV level is nothing more than an electronic bubble level. 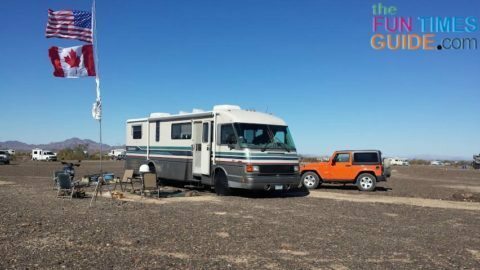 It gives no indication of how much you are off, and it requires many trips in and out of the RV to get things where they need to be. 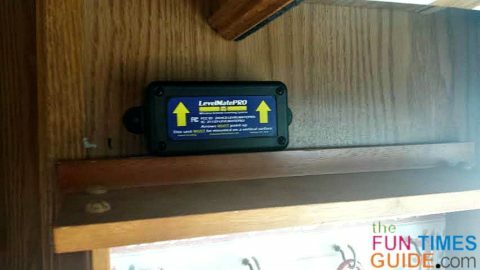 CIPA Wireless RV Leveler – This is the only other RV leveling system that allows you to carry the display outside with you — so you can verify success in obtaining a level RV. Unfortunately, it doesn’t give you an indication of how much adjustment is needed to reach level. 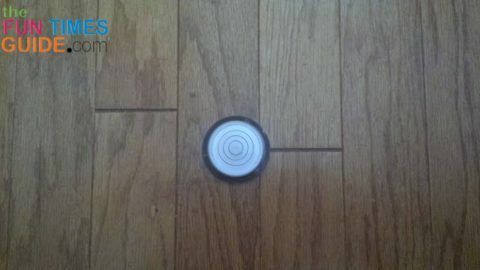 This video shows how the CIPA Wireless RV Leveler operates. ReVo Leveler – This is the only system that operates on a level even close to being comparable to the LevelMatePRO. The downsides of the ReVo Leveler are: (1) It’s something that you mount on the side of your RV when you want to use it. 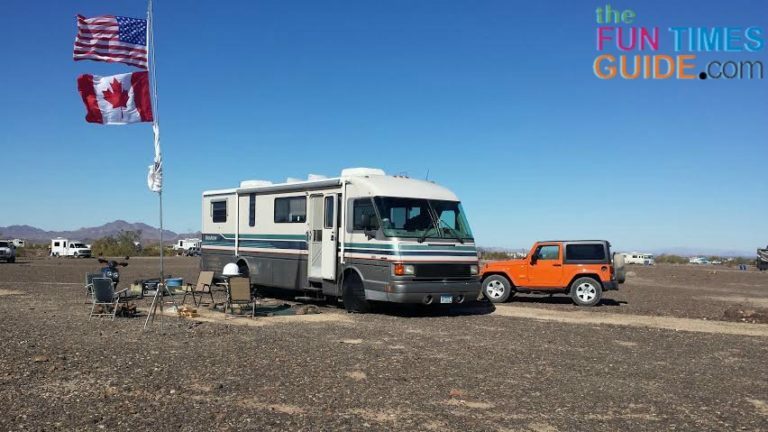 Even if it’s on the exterior, it’s not truly portable or able to easily give you an accurate reading; and (2) To get an accurate status of how level the RV it requires numerous steps and input by the user — there is nothing automatic about it. This video runs through the complex operation of the Revo Leveler. The refrigerator requires the RV to be near perfect level to allow the fluid to percolate properly. The efficiency of the refrigerator can be reduced noticeably in an off-level condition. Kitchen duties become awkward when pots & pans don’t sit level on the stove inside your RV. The RV shower may trap dirty water in a corner because that is the low spot. Most of all, there is personal comfort. It’s always more comfortable to sleep on a level bed. Often, I pull into a Walmart parking lot while traveling to spend the night, and then I move on first thing in the morning. With the LevelMatePRO you will know that you can sleep comfortably before you even get out of the driver’s seat. Also, there’s a sense of security when you know that you can get behind the wheel in the morning — so you can leave on a moment’s notice. It’s the only RV leveling system that I use now. Command Electronics provided me with a complimentary LevelMatePRO in exchange for my honest review of this RV product.